Take a Luxury tours in Nepal and trek in the Himalayan Mountains, wander past mountain villages and explore the city of Kathmandu. Nepal is simply one of the most perfect destinations for an utterly spellbinding luxury adventure holiday. Call us today!. We have been successfully organizing luxury tours and tailor made treks in Nepal. An off the rack suit or dress might fit you, but no matter how well manufactured it is, a custom-tailored version is going to fit you even better. The same is true with travel. There is nothing wrong with group tours or off-the-rack itineraries, and many high-end luxury tour operator excel at these, but even if you enjoy traveling with complete strangers, a generic itinerary is always going to mean compromises. 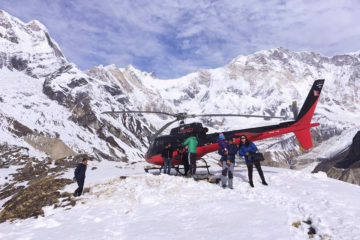 So Nepal Tours is the Nepal's foremost luxury travel company, offering adventure and luxury treks in Nepal with greatest destinations since 2009. We recommend the best of the stylish, boutique hotels and iconic resorts. The Republic of Nepal encompasses a dizzying range of landscapes and cultures, stretching from the fertile jungles of the Terai, to high altitude deserts locked in the heart of the Himalayas, making luxury travel in Nepal an incredibly unique and rewarding travel experience. Not content to merely be home to eight of the ten tallest mountain peaks in the world, Nepal weaves together a myriad of languages, religions, tribes, and ancient rituals making tours of Nepal unforgettable.